A Bedwetting alarm, also called enuresis alarm is the perfect solution to help your child stop nighttime wetting. 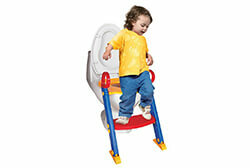 The alarm is designed to wake up children on detecting urine so that children can get up dry every morning. 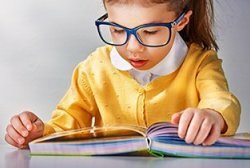 Parents can help their child overcome nocturnal enuresis by educating themselves better about the types of bedwetting alarms and how alarms work Read below for important considerations when choosing a bedwetting alarm and tips for treatment success. 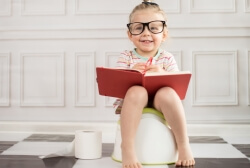 A bedwetting (enuresis) alarm is a behavior modification system which trains the users brain to detect a full bladder when they are asleep at night so the bedwetter can wake up and empty their bladder in the bathroom. Bedwetting alarms can be used by children, teens and adults for the treatment of nocturnal enuresis (nighttime bedwetting). The bedwetting alarm system comprises of two parts, a urine or moisture detection sensor and an alarm unit. The sensor is securely placed outside the underwear or pajama at the point of urination, where it would detect the first drop of urine. 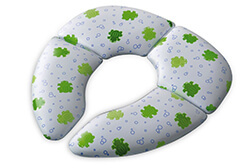 The alarm unit is placed on the pajama top or on the t-shirt top where it can be heard by the user when asleep. Most alarm units are programmable and use a variety of sounds, light and vibration to wake up bedwetters. Alarm units are generally operated by AA or AAA batteries, so they are safe to use. The alarm unit is connected to the urine detection sensor through a cable which runs below the t-shirt. When the sensor detects the first drop of urine, it passes a signal to the alarm unit. In response, the alarm unit plays back a series of loud alerts and sets of strong vibrations. 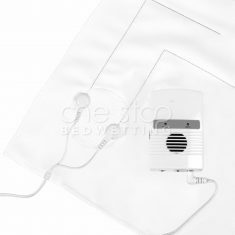 Some bedwetting alarms also use lights in addition to sound and vibration. The combination of these tactical alerts wakes up the user so they can get up and empty their bladder by urinating in the toilet. 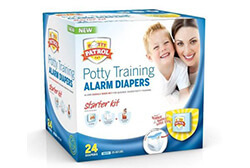 When used for several weeks or months, the user will learn when their bladder is full and will automatically wake up on their own to use the bathroom. 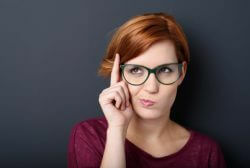 Eventually, a few months later, the brain-bladder connection is established so that they can start sleeping dry throughout the night. This process of training the brain to communicate with the bladder and hold urine is called behavior modification. 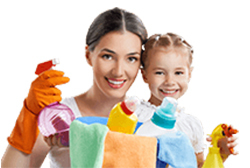 Although slow at first, behavior modification starts showing visible results within a few weeks of use. 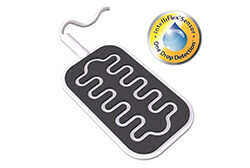 Most alarms use a three step Detect-Alert-Train approach to stop bedwetting. How bedwetting alarms work and how much time a successful treatment will take usually depends on the age, gender and family history of the user. 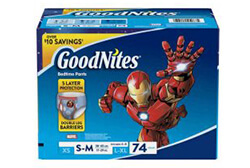 In most cases, children can stop bedwetting in a few months. Teenagers take a bit longer. Also, more boys wet the bed compared to girls. 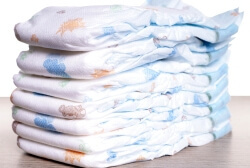 Genetics, constipation and stress can impact bedwetting in children and teens. Bedwetting alarms are extremely safe and highly effective solutions. Of all the available bedwetting solutions and treatment options, bedwetting alarms present the highest success rate for children and deep sleepers. 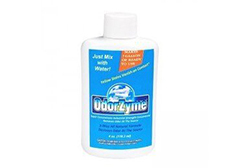 Because of the high success no side effects, many doctors and pediatricians often widely recommend the use of a bedwetting alarm as the first line of treatment to stop nighttime wetting in children and deep sleepers. A bedwetting alarm is a medical device which can be purchased without prescription, over the counter. 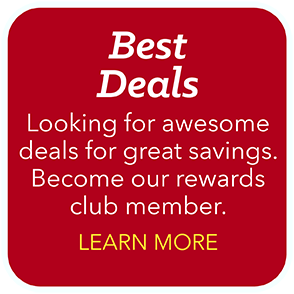 The purchase of a bedwetting alarm is an FSA eligible expense and is covered by most health insurance plans. 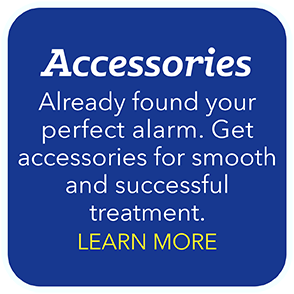 There are two types of bedwetting alarms available; wearable and bedside bedwetting alarms. The principle of operation is same in both cases, the difference lies in how the sensor and alarm unit are placed on the user. Wearable Bedwetting Alarms: These are the most popular types of alarms commonly used by children and deep sleepers under the age of 12. The system includes a urine detection sensor and alarm unit. 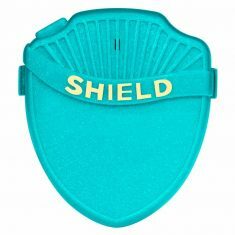 The alarm unit is clipped near the shoulder where it can be heard and the sensor is placed outside the underwear at the point of urination where the first drops of urine can be detected. The alarm and sensor are connected by a cable which is placed below the t-shirt. 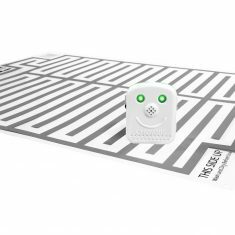 The alarm unit uses sound-light and vibration alerts to awaken the user. The two most common types of sensors are clip sensors and flat sensors. 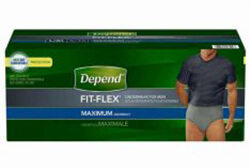 Clip sensors are clipped outside the underwear. These sensors are made from plastic. Flat sensors are made from soft silicone and taped outside the underwear. 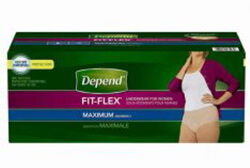 They generally offer more comfort and have a larger urine detection area than clip sensors. Clip sensor based bedwetting alarms are usually cheaper. 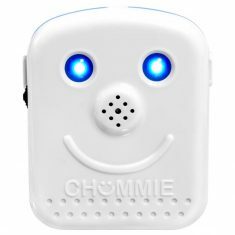 Popular flat sensor based bedwetting alarms include Chummie Premium and Chummie Elite. 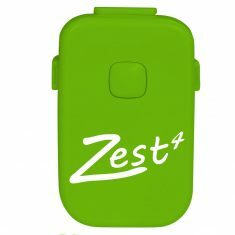 Popular clip sensor based bedwetting alarms include Smart, Shield Max, Shield Prime, NewU and Zest. Bedside Bedwetting Alarms: Widely recommended for teenagers and adult bedwetters, these systems includes a urine detection mat and alarm unit. The user sleeps directly on the large mat and places the alarm on the bedside. 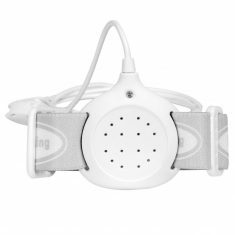 Since there are no wires on the body, wearable bedwetting alarms offer more comfort and a more natural sleep. 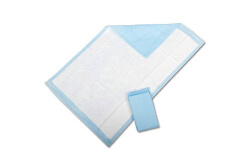 The urine detection mat is made from either cotton fabric or a special plastic compound. 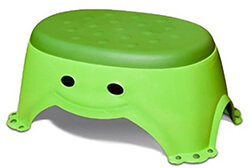 Each material can support a large user weight, usually over 200lb. The alarm unit uses sound-light and vibration alerts to awaken the user. 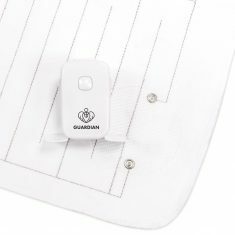 The Guardian alarm is a popular when it comes to selecting a cotton fabric mat based bedwetting alarm. 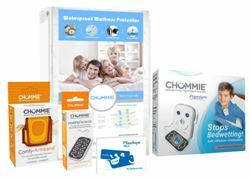 Popular plastic mat based bedwetting alarms include Chummie Pro and Smart Bedside. 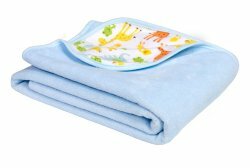 One of the main causes of bedwetting in children is a combination of deep sleep and over production of urine. 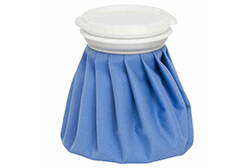 When you buy a bedwetting alarm consider few features that can help your child stop bedwetting. 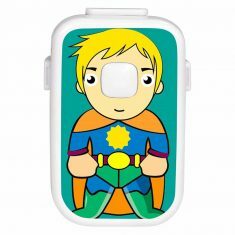 A bedwetting alarm (enuresis) alarm helps establish a brain bladder connection so the user can wake up on time rather than wet the bed. Before you invest in an alarm, here are important considerations you should take into account. Comfort: Of the two types of sensors, bedside bedwetting alarms offer more comfort than clip of flat sensors. 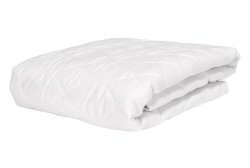 Bedside alarms use mats which slice below the bedsheet so the user doesn’t feel any sensors on the body and they can move in bed freely. 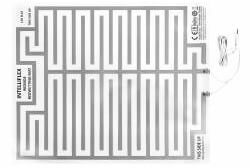 Flat sensors typically are more comfortable than clip sensors as they are made from soft silicone unlike clip sensors which are made of plastic. 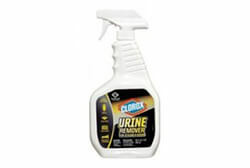 Urine Detection: Flat sensors have a significantly larger urine detection area compared to clip sensors and hence less likely to miss a bedwetting event. 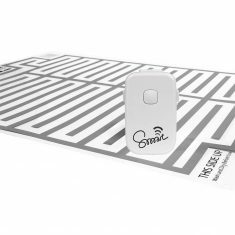 Both clip sensors and flat sensors detect the first drop of urine and respond immediately to bedwetting. 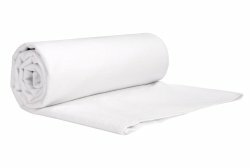 Bedside alarms that use mats require a larger wetting area and respond slower than wearable alarms. 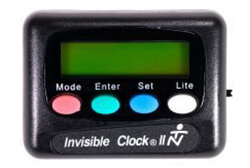 Alarm Alerts: It is generally preferred to get an alarm with sound-light-vibration alerts. These are more advanced alarms which have loud tones and the additional tactical alert will ensure that even deep sleepers wake up to the alarm on wetting the bed. Number of Tones: Many advanced alarms come with more than 1 tone. You can select tones or they cycle through tones automatically. This is done so that the user doesn’t tune out or get used to any one tone during treatment. Reliability: The sensor constantly comes in contact with urine. Sensors with exposed metal wires and parts may end up getting corroded. 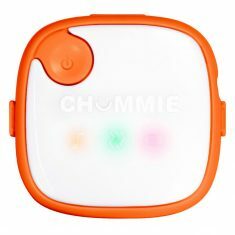 It’s best to use a sensor with no exposed metal contacts like the InteliiFlex sensor in Chummie alarms for long treatment. Nightly Reuse: Most bedwetters wet several times at night. Each time the sensor is to be reused, it should be cleaned and dried. Flat sensors can be shaken in hand to dry them and reuse immediately. Clip sensors may require additional time to dry. This is especially important when children wet at late hours of the night. 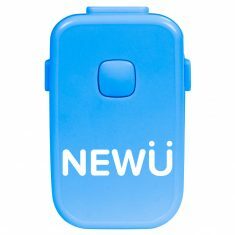 Bedwetting Alarms (Enuresis Alarms) are very effective in the treatment of nighttime bedwetting and in most cases offer a permanent solution to stop bedwetting. 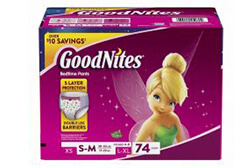 It is important to use the bedwetting alarm for 14 consecutive dry nights to get best success rate and at least 8 to 12 weeks to be stop bedwetting completely. Positive reinforcement, patience and persistence are necessary for a successful treatment with lasting results. 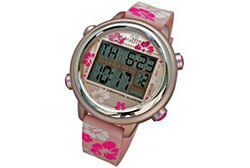 Talk to your child as theu may resis using an alarm. Make them understand that they are not alone and that the alarm will help them deal with and stop bedwetting. Chose a bedwetting alarm carefully. 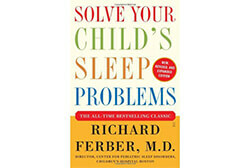 Bedwetting Alarms for Children: Most young children are deep sleepers. 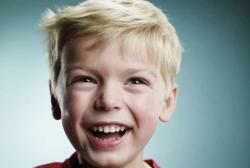 As a child gets older, the treatment may take longer. 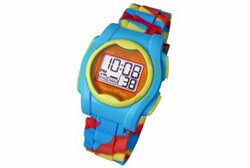 The first few weeks, children may not respond to the alarm when it goes off at night. Parents should wake up their child on hearing the alarm and help them empty in the toilet, change soiled clothing and return to bed. Waking up your child soon is important to the treatment progress. Children will usually start to wake up within 2-3 weeks and the average treatment can take 8 to 12 weeks. There are many alarms to select from. 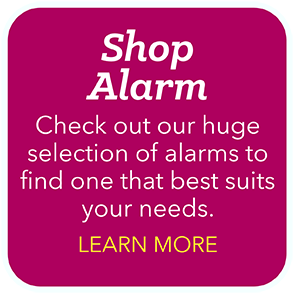 Choose your alarm from bedwetting alarms for boys, bedwetting alarms for girls, bedwetting alarms for deep sleepers and bedwetting alarms for special needs kids. We recommend wearable alarms for children so they can use the alarm with or without bedwetting diapers and wetting pants.